A fun, rainy day activity for my littles. 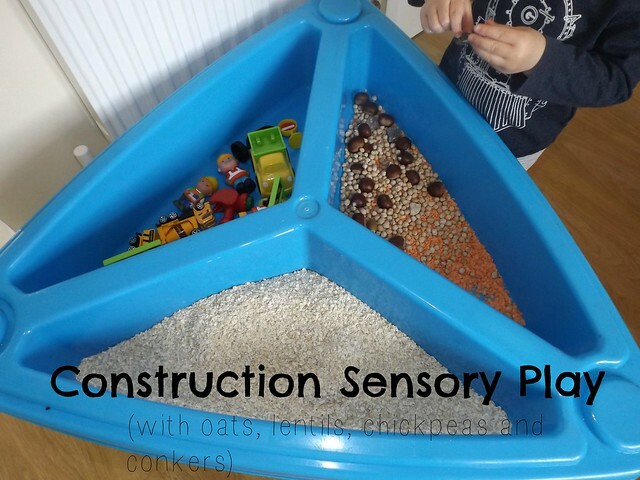 As all boys are, they are obsessed with construction, so I decided to make them a sensory tray as it's been so long since our last one. 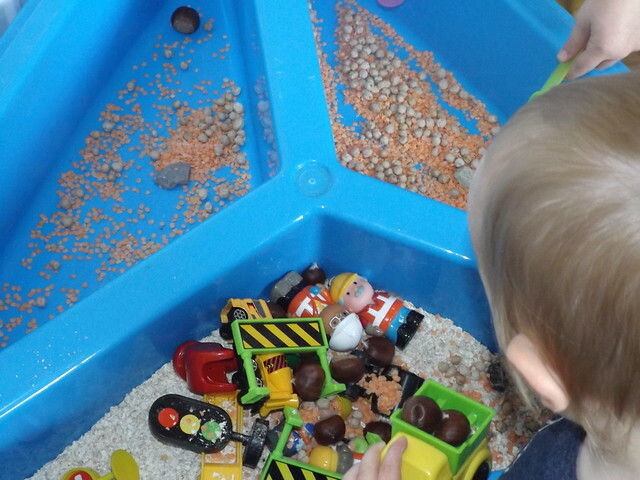 We cleaned off the sand table and I used oats, lentils, chickpeas, conkers and a few little stones to fill it. Joshua's on a little defiant streak, so I wanted to use things that wouldn't matter too much if he decided to put them in his mouth, despite my constant reminders. 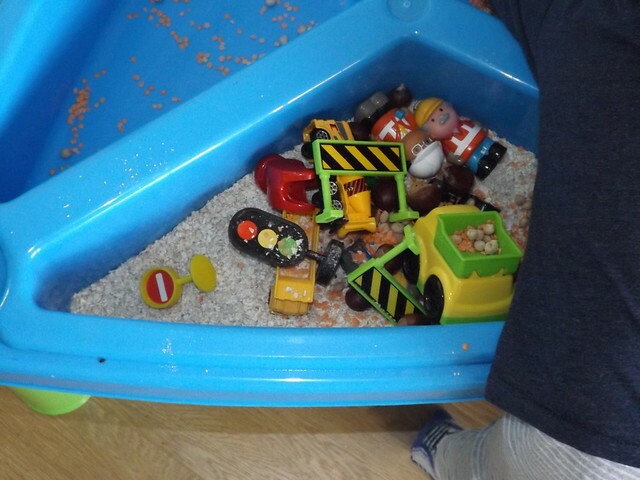 I collected all the little diggers and builders, mostly from our HappyLand collection, though to be honest they mostly used the spoons to transfer from one section to another. I wanted it to be an independent activity so I could get ready, but I'll probably encourage more role play next time. 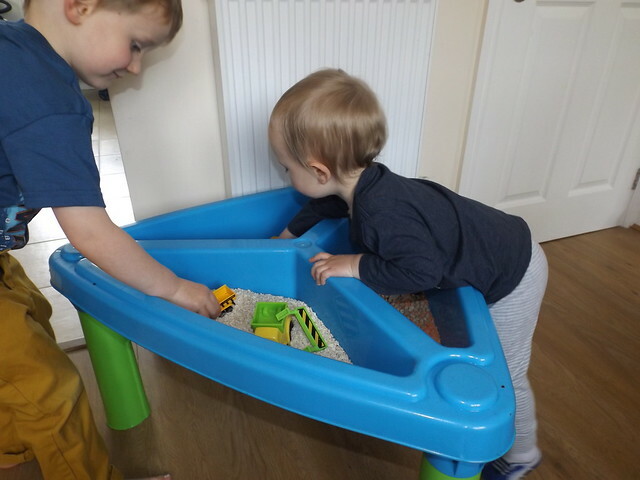 I left this out all day and both boys went back to it a few times, the mess was easily hoovered up too, so a total winner! 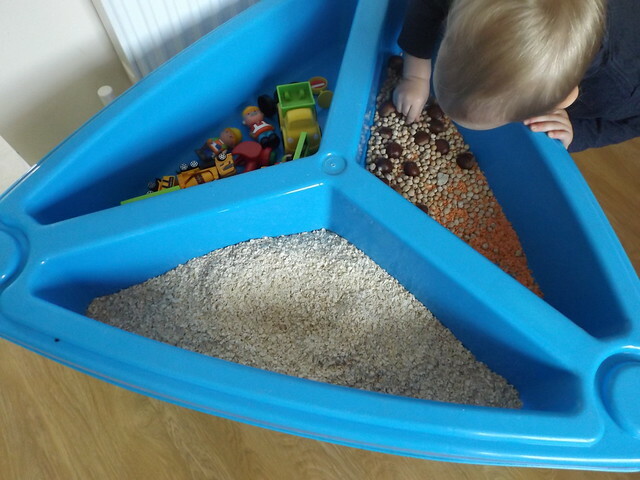 I've been pinning sensory activities like mad, I've replaced my Facebook obsession with a Pinterest obsession which I feel is more productive. 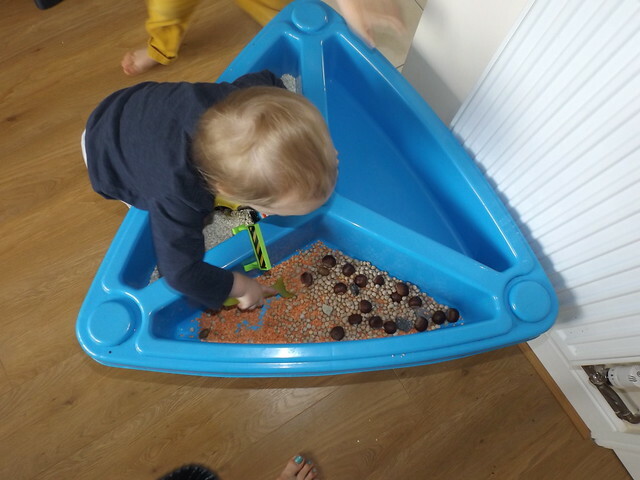 Next, a beach theme with shells and water beads.